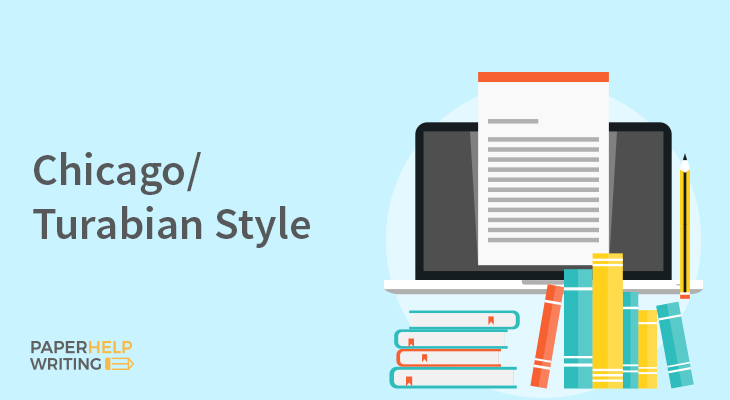 Chicago Manual Style, or CMS, is one of the most frequently used styles for formatting academic papers in the United States. It is widely used in papers on social studies and history and is something most US students will encounter at least once in their life. Choose a 12pt font for your paper. All text, except for block quotes, should be double-spaced. Create 1-inch margins from all four sides of the text. There shouldn’t be any extra space between the paragraphs. At the top right of each page there should be a running header, where the last name of the author and the consequent page number are placed. The title page shouldn’t have the header, and the header of the next page should have the number 2. If you are using any quoted or paraphrased fragments, there should be a corresponding footnote on the page. The title should be located in the central part of the page. In case the title contains more than one line, it should be double-spaced. Place your full name underneath the title and center it. In the lower right part of the page, specify your course number, the name of your instructor, and the due date of the assignment. These three lines need to be double-spaced. Start with the last name of the author, the date of the publication, and the number of the page. Parenthetical citations should not contain any abbreviations. Don’t include any punctuation between the author’s name and the publication date. The publication year and the page number should be separated with a comma. Parenthetical citations always come after direct quotes. If you are using paraphrased citations, use footnotes to reference them. In case the author of the source is unknown, use the abbreviated title of the publication instead. When you are citing the same pages from the same source multiple times in your text, place the citation just once after the last reference. Since every quote should be cited according to the Chicago style, the citations can take up a big part of your paper. However, it is always better to provide as many citations as needed to create a quality paper. Every time you include a direct or paraphrased quote in your text, you should reference it using footnotes or endnotes. Footnotes are placed in the lower part of the page where the source material is referenced. Endnotes are included in the final parts of the chapter or document and contain references to all sources cited in the paper. The first time you are referencing the source, you need to include the full name of the author and the full title of the publication. If you are referencing the same source more than once in your paper, you should only include the last name of the author, the title shortened to fewer than 4 words, and page numbers. The last and first name of the author. The name of the source. The titles of books and other long sources should be italicized, while the title of journal articles and similarly brief sources should be put in quotation marks. The information about the publisher. When citing online sources, remember to include the date when the article was retrieved, as well as the date when it was last modified, in case this information is available. The title of the journal. Each element of the bibliography entry should be separated by commas followed by a single space.